Let us not forget that Peter Taylor resigned from his role as Chairman of Bougainville Copper Limited as announced on 1 July 2016, following the decision by Rio Tinto to transfer its shareholding in the company to an independent trustee when it handed the poisoned chalice to both PNG and Bougainville – in equal shares. But there’s more…. “Rio Tinto’s billion-dollar mess: ‘unprincipled, shameful and evil’”. 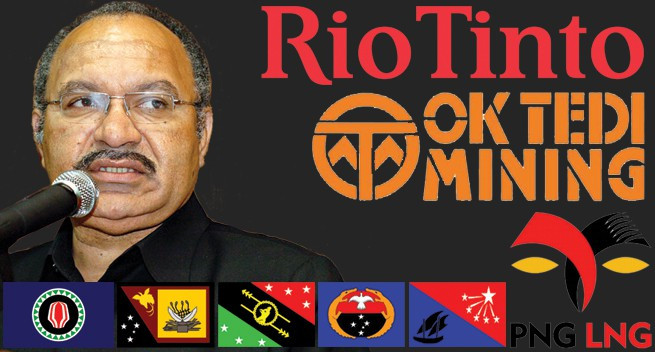 And obviously very connected to the current Prime Minister of Papua New Guinea (PNG) who decided that the 17.4 per cent BCL equity recently transferred to PNG by developer Rio Tinto will be given to landowners and Bougainville’s people. As stated in the Postcourier, on 19 August 2016, “Mr O’Neill said he deliberately decided that way so that the “ABG does not control the shares”. It seems apparent that President Momis of Bougainville (ABG) has the right to be furious, knowing that the same “unprincipled, shameful and evil” people like the President of the PNG/Australia Business Council, Peter Taylor and Rio Tinto are still calling the shots about Bougainville.